You Are Here: Home » Conditions, Upper Cervical Care » Guest Post: Can migraine sufferers benefit from upper cervical chiropractic? Guest Post: Can migraine sufferers benefit from upper cervical chiropractic? Migraine headaches have continued to stump medical researchers for decades. Treatments that work well for some patients don’t work at all for others. Chemical triggers for some people, like chocolate or red wine, aren’t necessarily the same triggers for all migraine sufferers. Editor’s note: This guest post comes from Dr. Adam Tanase, Upper Cervical Doctor in St. Louis, and official chiropractic expert for MedHelp.org. While science is yet to fully understand the exact cause of migraine headaches, current findings demonstrate vascular and neurological mechanisms. Evidence suggests that during a migraine, dilated blood vessels are sending nerve signals to the brainstem and sensory cortex causing central sensitization. This forces patients to feel pain from sensations that are normally not painful (like pulsating blood vessels), as well as pain that’s resistant to peripherally-focused medical treatments. The image above shows the base of the skull where the brainstem passes through the foramen magnum. The root/vine-like tubes seen here are blood vessels. This picture demonstrates important blood vessels of the head and their proximity to the upper cervical region. It also depicts the intimate relationship between the the first cervical bone (atlas, C1) and the brainstem. For almost a decade I’ve been speaking with headache/migraine sufferers about chiropractic care, and more specifically, the Upper Cervical adjusting procedure. Through these conversations, I’ve realized that a lot of people have attempted some form of full-spine chiropractic manipulation (with mixed results), but very few knew about Upper Cervical Care, and were never told there was a difference. Upper Cervical doctors have a distinct biomechanical and physiological perspective that other health care providers do not offer their patients. 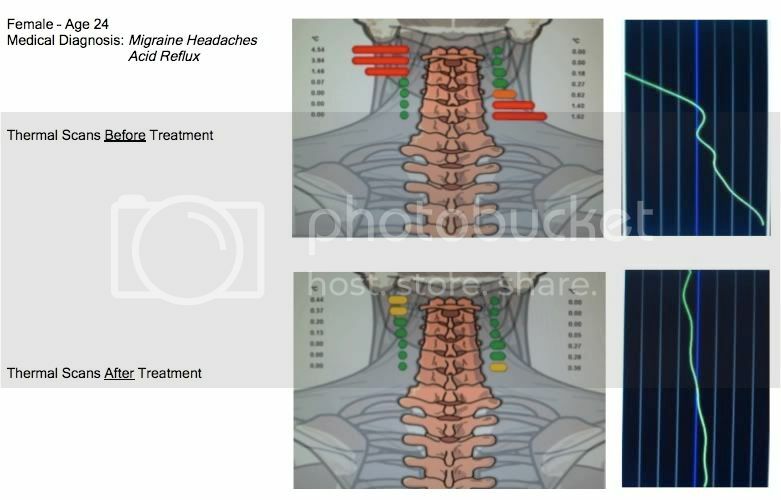 Our unique analysis of the relationship between the head and neck is what enables so many migraine sufferers to get lasting relief. So if you suffer from chronic migraine headaches, Upper Cervical Care is certainly worth consideration. If you’d like help finding a specialist in your area, email me and I’ll be happy to point you in the right direction. To read more from Dr. Adam Tanase, please visit him at his insightful blog DrTanase.Com. 2 Responses to Guest Post: Can migraine sufferers benefit from upper cervical chiropractic? Gotta love it when Dr. Tanase has something to say!